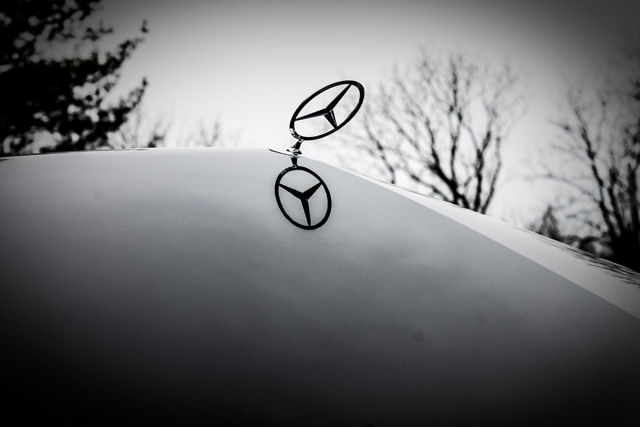 The 2013 Mercedes-Benz E400 Hybrid is a highlight of the year’s offerings from the German automaker. Leave it to Mercedes-Benz to combine the environmental friendliness of a hybrid with all of the lavish accoutrements and pulse-racing power that you’ve come to expect from the luxury automaker. 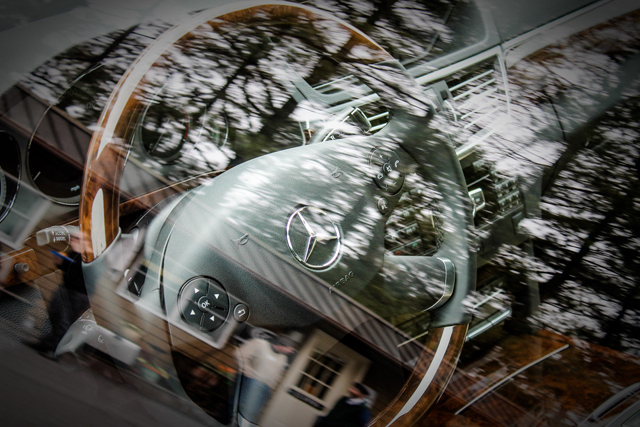 The E400 depicted in this article was provided by R & H Motor Cars in Owings Mills for the Mercedes-Benz Club of America – Greater Washington Section Open House. It has a seven-speed automatic transmission. Forget about maxing out in fifth or sixth gear. 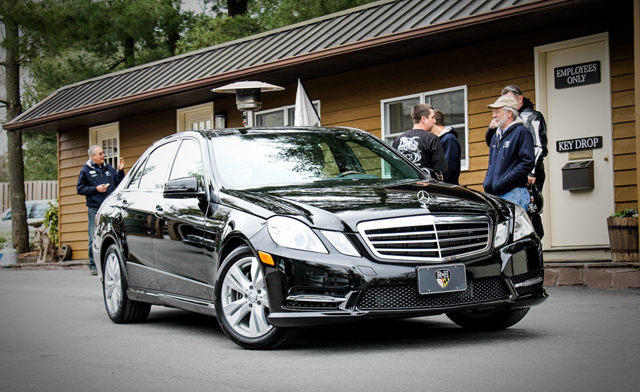 You’ll want to take this baby on the open road just to experience what seventh gear feels like! But if you ever need to manually switch gears to get a sudden increase (or decrease) in speed, you don’t have to reach for the stick shift on the floorboards. Nope — all you have to do is let your fingers do the shifting with the convenient paddle shifters located on the side of the steering column. 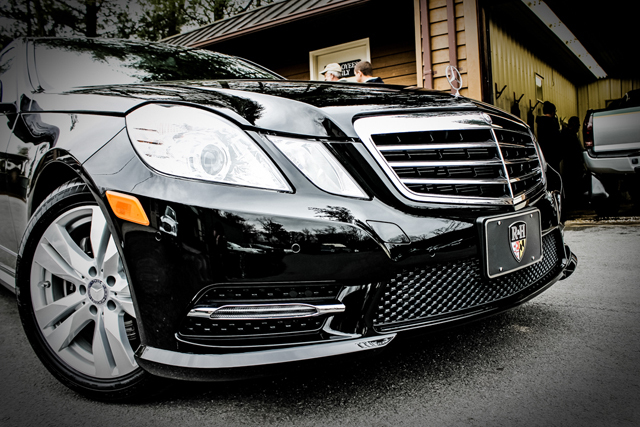 It has significantly more power than its S-Class sibling. With all of the accolades about the Mercedes-Benz S400, it might surprise you to learn that the E400 Hybrid has a more powerful engine. 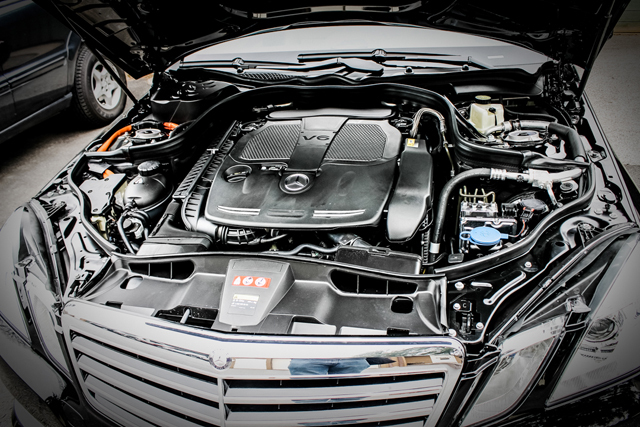 Both cars come with 3.5-liter V6 engines, but the E400’s boasts 302 (direct-injected) horsepower compared to the S400’s 275 hp. In addition, the electric motor in the E400 produces 27 horsepower and 184 pound-feet of torque, which blows away the 20 hp and 118 pound-feet created by the S400. It has numerous luxury features which are standard in every vehicle. 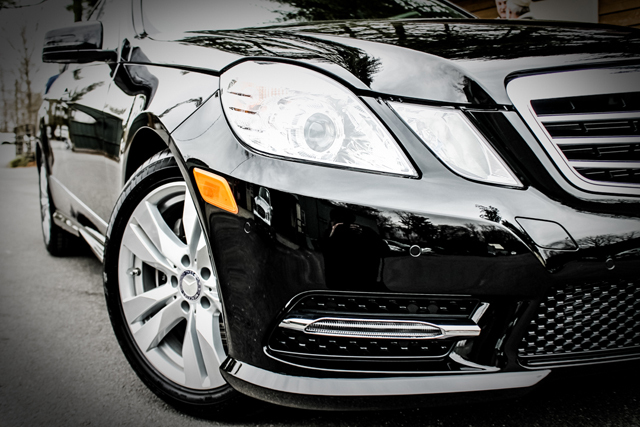 The most notable one is the inclusion of heated seats in every Mercedes-Benz E400. After all, luxury means never having to shiver in your seat while driving, right? The interior is also appointed with either polished Black Ash or Burl Walnut wood trim and a premium leather multifunctional steering wheel. Plus, the 17-inch, five-spoke alloy are outfitted with runflat tires. The engine significantly increases fuel economy by strategically using its electric motor. With the S400, the car cannot operate without the gas engine firing. But with the E400 Hybrid, the vehicle can travel up to a half mile at a speed as high as 22 miles per hour without using a single drop of gasoline. As a result, the electric motor in the E400 Hybrid can yield significant fuel economy improvements and fuel savings for its owner. Its battery is more conveniently placed. Remember the old hybrid or electric cars whose trunk spaces were reduced because of the presence of bulky batteries? The E400 doesn’t have that problem, because its advanced lithium-ion battery pack is nestled into the engine bay instead of being stored in the trunk. In other words, you don’t have to sacrifice ample trunk storage for the eco-friendliness of a hybrid engine.